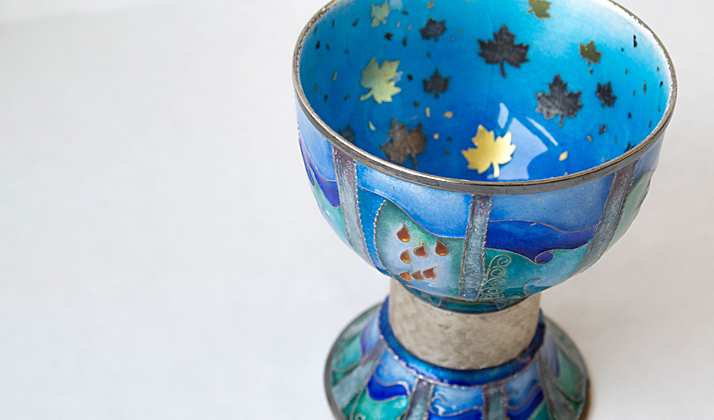 Though not a religious tradition, some Jews have added the recent custom of including a Miriam’s cup filled with water to the Passover Seder table and service. In the Torah, during the days when the Israelites were wandering through the desert from Egypt to Israel, we read that Miriam (daughter of Amram and sister of Moses and Aaron) died. Directly after this announcement the Torah states that there wasn’t any water for the people (Numbers 20:2). Many great legends have been shared about Miriam’s well. Ancient sages have interpreted the biblical text to mean that while Miriam was alive there was always fresh well water in Miriam’s merit and that when she died, the water dried up (Rashi on Numbers 20:2, Talmud-Ta’anit 9A). Some legends said that the water and Miriam herself healed and sustained the Israelites. In one modern explanation, Miriam’s cup symbolizes the importance of Miriam and other women in the Passover story. In the past, my family’s Seder discussions have also included other women in the Torah and in our everyday lives who have made a difference to us. This year, I’d like to discuss something different when we pay tribute to Miriam. With Passover here and Earth Day on the horizon, I find myself reflecting on the importance of using our everyday necessities, like water, for good. There are many times that I take water for granted. There are many times that I forget how powerful water can be in our lives—for good and for bad. 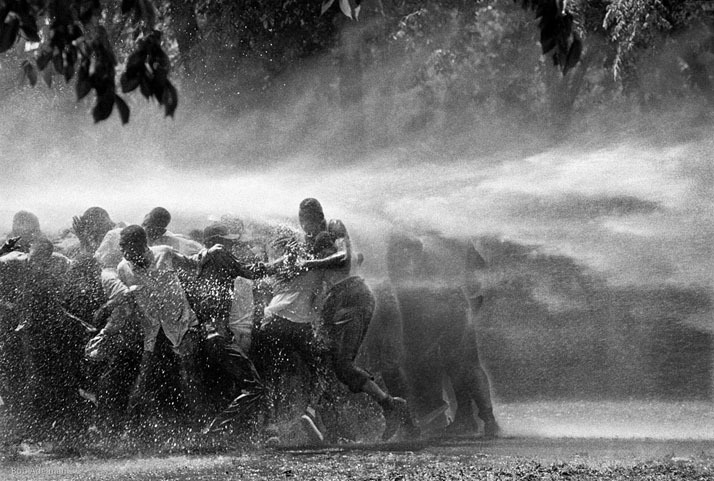 A powerful image in This Light of Ours: Activist Photographers of the Civil Rights Movement depicts how water was used to forcefully stop Civil Rights protesters in Alabama when they stood up for the right to vote and proper education. The protesters gathered arm and arm to stand strong against the blast of water that blasted bark off of trees. The use of water in Miriam’s well and the use of water during some of the Civil Rights protests were vastly different. In one scenario it was used to save and in the other it was employed for abuse. This Passover, I will ask my family to join me in thinking of ways we can use water for good and how can we help those in need who are affected by water issues. The following are sites about how to better the people and environment around us. They all involve water in some way. To those who celebrate: Happy Passover! To all: May we have a happy and healthy spring and may we live in a world where our everyday necessities are used for the power of a positive change. May we be the “Miriams” of today.